WASHINGTON -- The Senate has confirmed President Donald Trump's nominee to serve as FBI director. Tuesday's vote was 92-5 for Christopher Wray. The lawyer is a former high-ranking official in President George W. Bush's Justice Department who oversaw investigations into corporate fraud. He will replace James Comey, who was fired by Trump in early May amid the investigation into Russia meddling in the 2016 presidential election and possible collusion with officials of the Trump campaign. 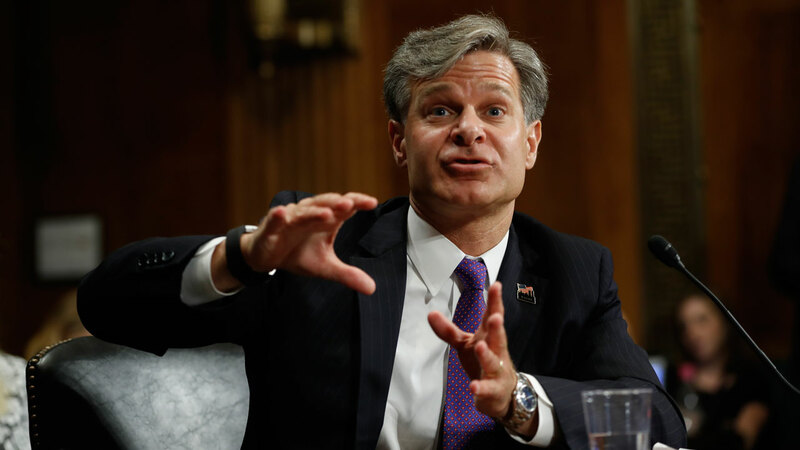 The 50-year-old Wray inherits the FBI at a particularly challenging time given Trump's ousting of Comey, who was admired within the bureau. Wray had represented New Jersey Gov. Chris Christie in the so-called Bridgegate scandal.